He may be behind bars, but a former police chief still strikes fear into the highest levels of the Spanish state thanks to his covert recordings of compromising conversations with the all-powerful. Spain's socialist justice minister Dolores Delgado is the latest high-profile personality to be embarrassed by leaked recordings of a past conversation with the "blackmailer," as Jose Manuel Villarejo is now known. The monarchy also recently saw red after Corinna zu Sayn-Wittgenstein, former mistress of ex-King Juan Carlos I, allegedly revealed that he used her name and that of a cousin to hide property in Morocco and Swiss bank accounts, according to another leak. The 67-year-old retired police superintendent is suspected of large-scale corruption, having allegedly done dirty work, such as blackmail or threats, on behalf of companies or rich individuals for decades. "Villarejo led a parallel police force that worked to manipulate the justice system, erase or modify legal cases, for big corporations and millionaires," says investigative journalist Carlos Enrique Bayo, former director of the Publico daily which in 2015 revealed information about his shady activities. For him, "most shocking is that it represents the tip of the iceberg of a state network created when the transition (to democracy in 1975) began and lasted forty years." A stocky, bespectacled man with a penchant for flat caps, Villarejo joined the police in 1973, two years before dictator Francisco Franco died. He has been in preventative custody since November 2017, accused of being part of a criminal organisation, money laundering and subornation. But even behind bars, he strikes fear among those who once had a conversation with him. For decades, he secretly used recorders in his informal chats with politicians, judges, businesspeople, police officers and prosecutors. Justice minister Delgado was recorded over dinner when she was a prosecutor in 2009. 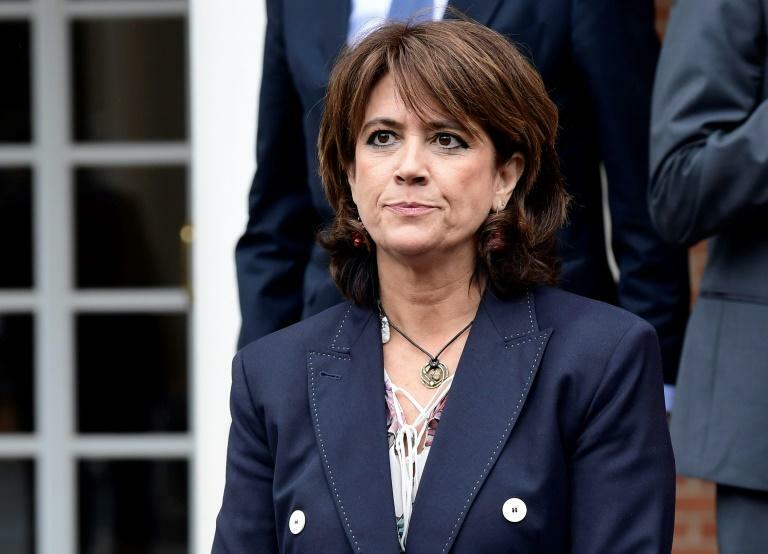 In the recently leaked recordings, she apparently used a homophobic term to refer to her openly gay colleague Fernando Grande-Marlaska, now interior minister. The recordings also appeared to show her accusing judges and prosecutors of being accompanied by under-age girls during a trip to Colombia. In the conversation, Villarejo allegedly boasted about having used "a modelling agency" to get "vaginal information," meaning secrets revealed to prostitutes by politicians or business executives. Spain's opposition has called for Delgado to resign. But Prime Minister Pedro Sanchez has stood by her, saying his government will not accept "blackmail from anybody." Speaking to a parliamentary commission, Delgado accused the opposition conservatives of having used and protected a man who belonged to "the state gutters." She said that "according to anti-corruption prosecutors, Villarejo's mafioso police clan tried to influence national security policies and relied on civil servants, lawmakers, the media and people in the judicial administration" to do so. Bayo said Villarejo allegedly "created an institute for legal studies where magistrates from the highest judicial bodies earned 600 euros ($700) an hour to give lessons," allowing him to "have exceptional ties" with them. The former policeman stored his information meticulously. This, said Delgado, allowed investigators to find the equivalent of "three months of uninterrupted radio programmes" in recorded information. When Mariano Rajoy was conservative prime minister, Villarejo is suspected of having taken part in "operation Catalonia" with the aim of fabricating "fake information against separatist parties" and also far-left party Podemos, Delgado told lawmakers. Villarejo allegedly earned considerable money by threatening or blackmailing people. Rajoy was ousted in a no-confidence vote in June, partly seen as a censure for his handling of the Catalan independence crisis but also amid a perception that he had been weak on rooting out corruption. According to the El Pais daily, Villarejo is suspected of having received millions to create a damaging case against a son of Equatorial Guinea's leader Teodoro Obiang Nguema, a minister who was in conflict with his own brother, the vice-president. Several months before being detained, Villarejo gave an interview to the Sexta television channel, in which he revealed the names of several high-ranking police officers who he said had given him orders. He admitted managing a dozen private companies, which he said allowed him to "act like an infiltrated agent" in cases where "the state couldn't intervene." "Villarejo thought he was untouchable," said Bayo, who in 2017 caught Villarejo at his own game by secretly recording him. In that recording, Villarejo is allegedly heard saying that if lawmakers forced him to testify in an investigative commission, they would "really have problems." "If Villarejo starts revealing things about the Socialists, he will destroy them, but if he reveals things about the conservatives, he will destroy them" too, said Bayo.